These Disney magic castle card gummy candies are part of a card collection! 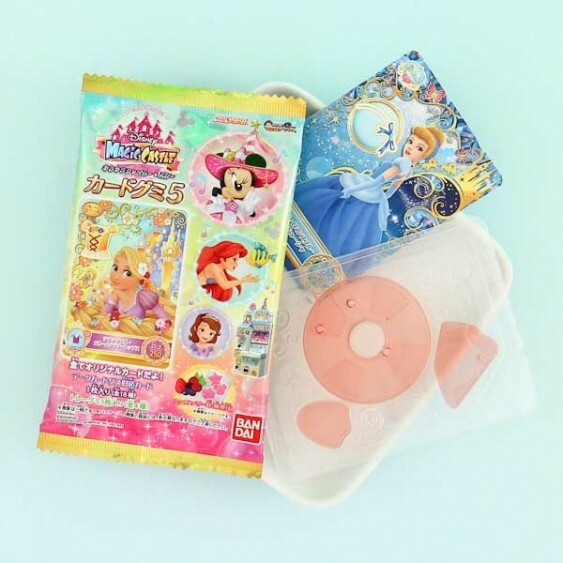 In Japan, you can even use these cards in arcades at the Disney Magic Castle machines. But it is just as fun to collect all the different amazing Disney cards with different lovely Disney characters on them! The gummy candies that come in the package have a sweet pink lemonade taste! Collect them all!